After the Toyota RAV4 finally knocked the Ford Escape off its its Canadian SUV sales leadership throne in calendar year 2016, the Honda CR-V was Canada’s top-selling SUV/crossover in January 2017. The first month of 2017 marked the first full month of availability – albeit somewhat limited availability in many trims and many regions – for the fifth-gen CR-V. Sales of the CR-V jumped 40% to 2851 units, an all-time January high. The CR-V led an SUV/crossover sector that jumped by more than 11% to nearly 48,000 units, equal to 43% of the overall new vehicle market. Together, the CR-V and its four top-selling rivals – account for nearly three out of every ten SUV/crossover sales in January 2017. Canada’s top-selling premium utility vehicle in January 2017 was the 25th-ranked Lexus RX, sales of which rose 6% to 554 units. 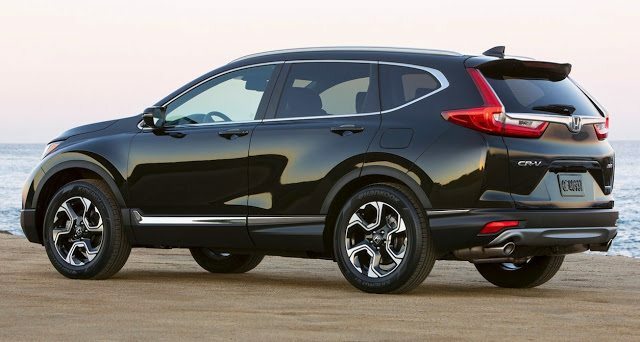 The RX, like the top-ranked Honda CR-V and third-ranked Toyota RAV4, is built in Canada. The fastest-growing SUV/crossover nameplates in Canada in January 2017 were the Fiat 500X, Lexus LX, Mazda CX-9, Nissan Armada, and Porsche Macan. Among vehicles that produce meaningful volume, the Buick Encore’s 85% jump was significant, as was the Kia Sportage’s 74% leap to 730 January sales. Reminder: these are January 2017 rankings, but you can sort vehicles by January 2016 volume by clicking the January 2016 column header, or you can rank vehicles by improvements or declines using the % columns.